From the Middle English greeting ‘waes hael’, meaning ‘good health’, the ceremony of wassailing takes its name. From Kent and Sussex in the east, to Devon and Somerset in the west, the tradition of drinking the health of the apple trees has existed for hundreds of years. A procession moves through the orchards, singing, shouting and banging pots to drive away evil spirits so that trees will be bountiful the following autumn. Toast soaked in wassail - hot mulled cider or beer - is then hung from the branches. The ceremony usually takes place on the eve of twelfth night, 5th January. However, because of the calendar change of 1753 when 11 days were lost, some insist that the ceremony should be on 16th January. 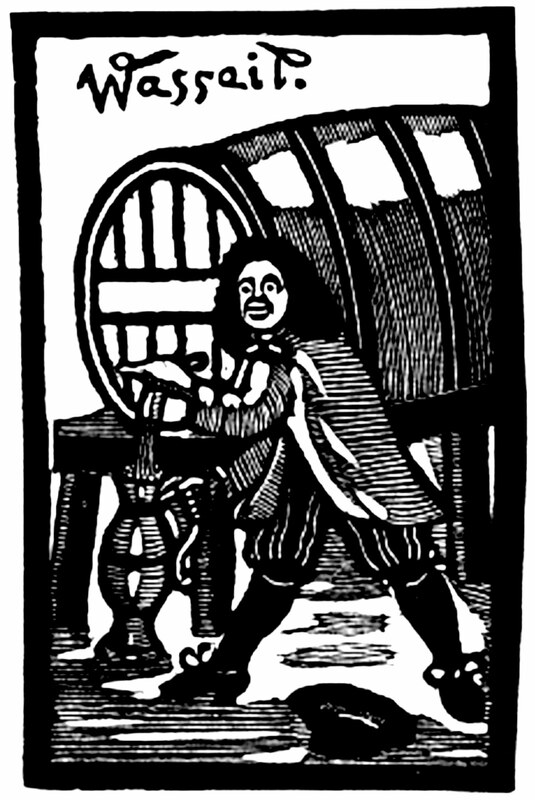 It does not really matter when it’s meant to be: it involves so much drinking of wassail that, by the end of the evening, no one knows what day it is anyway. Outside the home, wassailing became something that moved from the orchard to the street and was bound up with carol singing: those less well-off would visit the homes of the wealthy and sing for food and drink - “oh, bring us some figgy pudding and a cup of good cheer”. The cup of good cheer was the wassail. *Remove one strip of skin from around the middle of each apple. *Put the apples, brown sugar and one bottle of ale in the cooking pot. *Cover and cook for 30 minutes in a pre-heated oven at 180 degrees. *Remove the apples and set aside. *Transfer the pot to the hob and add the remaining ale, sherry, fruit and spice. *Bring to the boil and then simmer for 5 minutes. *Return the apples and keep hot on a low heat as you serve. This should serve six drinks. Waes hael!